On 8 May three quarters of the Diseases of Modern Life team – Melissa Dickson, Sally Shuttleworth, and Jennifer Wallis – visited Newcastle University to meet with the Fashionable Diseases team and take part in a workshop. 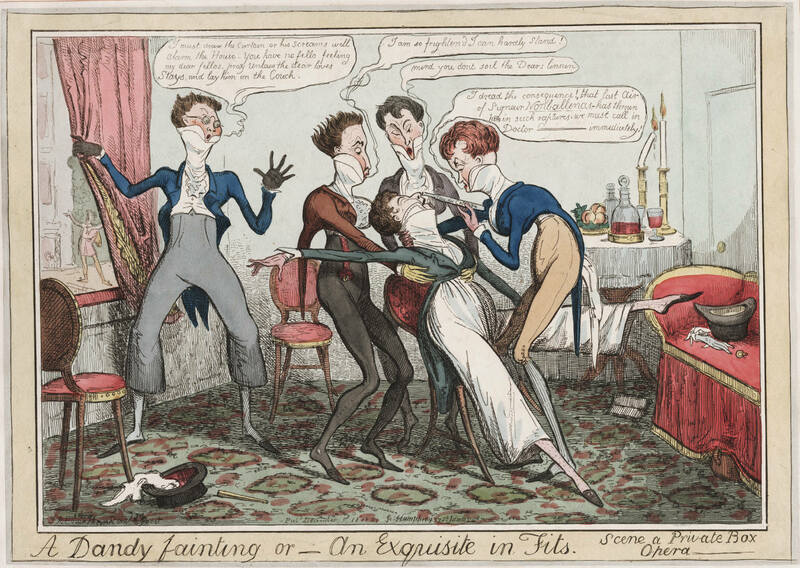 A joint project at the universities of Newcastle and Northumbria, Fashionable Diseases explores how, in the eighteenth century, ‘certain diseases could be construed as endowing a sick person with some social or cultural cachet’. Though focusing on different centuries, many of the themes investigated by the ‘Fashionable team’ (a much more flattering moniker than our own, ‘the Disease ladies’…) intersect with those of the DoML project – such as travel for health, nervousness, and addictive behaviours. Sally Shuttleworth opened the workshop with a discussion of ‘Fears and Phobias in Victorian Culture’, tracking changing patterns in the diagnosis of nervous disorders in the nineteenth century. Looking at ‘excessive’ states of fear including pteronophobia (a fear of feathers) and ‘cat fear’ (rather self explanatory), Professor Shuttleworth explored the intersection of cultural, literary, and medical discourses of fear at this time, asking if phobias might be considered ‘fashionable diseases’. Next, Melissa Dickson looked at the female headache as a social and cultural – as well as medical – phenomenon, and how this vague, unprovable condition might have been a ‘disease of convenience’ for women eager to escape social engagements. Finally, Jennifer Wallis explored the peculiar risks of the London Season, particularly over-indulgence in alcohol at a time of popular concern with the apparent increase in respectable ‘lady tipplers’, with tippling or ‘nipping’ itself a symptom of fast living in the metropolis and the subsequent need to stimulate a flagging system. The following discussion raised a number of interesting points, including one that both projects were grappling with – the difficulty of defining and using the term ‘modernity’ in our analyses. We’re looking forward to exploring this more closely in the future, but in the meantime you can hear all three talks from the workshop here. You can keep up to date with the work of the Fashionable Diseases team via their website and blog, and on Twitter.